Saturday, April 21, 2012 was not only a long day spent flying, but also one spent crying. My spouse and I had lots of time to kill. I showed her the faces that go with the names of my trans facebook friends… and then she summoned the courage to ask to read this blog. She managed to read two entries and in the midst of the third, she read the words, “…this looks to be more of a destiny than a decision.” And that was all she could bear to read, as she broke down in tears. We talked. She took time to process. Not sure if we had a breakthrough. Something happened. She said to me, fighting back more tears, rhetorically: “Maybe you are settling.” That was something my mother claims I asked her, when first contemplating marriage to my spouse 15 years ago: “Am I settling?” Mom told me “no.” She says my dad wanted to tell me, “yes,” but he was asleep and wasn’t asked. No matter. I didn’t settle. I upgraded. I was lucky then and am lucky now. But her point was heartfelt. Am I “settling” for a less authentic life by staying with a woman who doesn’t want to be married to a woman? 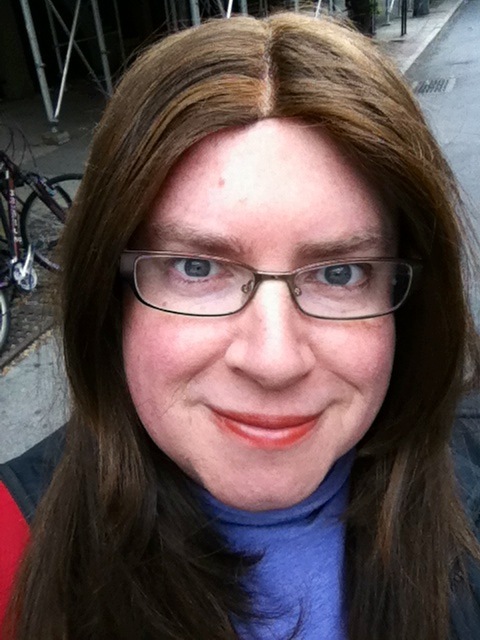 Am I “settling” by staying in a gender that so often seems alien? Even though I’ve lived as a man most of my 40 years, why would I feel more comfortable when I’m “myself?” When I’m Dawn? I shared with my wife an important warning from a dear facebook friend who I had the opportunity to meet in person this past week. She works for the same company as I do but we work in very different divisions. She always knew who she was, even though she denied it to herself and others for years. She has had the courage to quit her job, move to a new city and have gender confirmation surgery. She’s everything I’m not, which is to say, she lives just as she is. No questions. And her warning was that I needed to figure out the science that has made me who I am. Because it’s pretty much established you cannot “turn” someone trans by giving them female hormones. Just as you cannot hypnotize someone trans into not being that way. I know because I’ve tried. No doctor in the world has been able to figure out what it is that has changed me. But my friend didn’t stop there. She made an excellent point I’ll share here as a strong possibility I myself have considered: that the early pre-puberty influx of female hormones I was given may have acted as a form of HRT, establishing my baseline endocrine system as female, and reinforcing what I formerly looked at as less-masculine tendencies rather than feminine behavior. I was never a jock. My spouse didn’t marry me for my physique or my sports-related abilities. But I was a boy. A boy who preferred art to sports, who preferred making friends with girls and was immersed in a girl’s world of makeup, dressup and pampering. A boy who didn’t get the signals girls gave about who they liked and who they just wanted to be their friend. A boy who grew up late and when the male hormones finally kicked in, endured a makeover of radical proportions. The carefully coiffed boy grew into a balding young man with a thick beard and hair that covered his body, a young man who tried to date every girl he encountered. A man who finally found real love in a lost love, a decade after tossing her aside. A decade spent growing up, trying to figure out who he was, with at least one foray into the world of cross-dressing for Halloween. A trip that opened my eyes a little too wide, at how easily I passed, how natural I looked and acted, and how eerie it felt. Just one night but one that was hard to forget. Even so, I moved on. 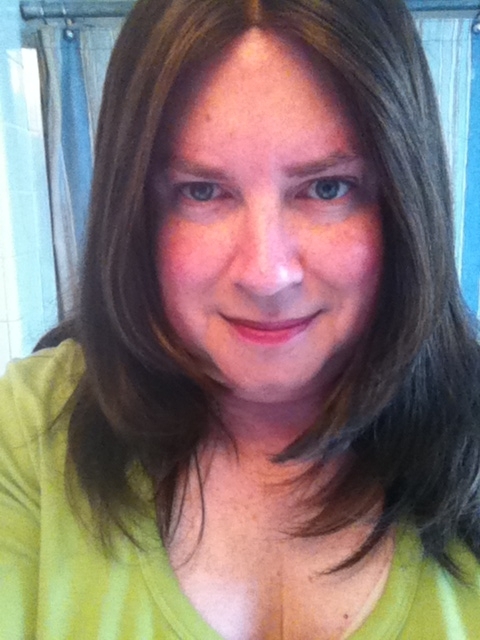 I married, had children, and didn’t think again of that feeling until nearly six years ago, as my male hormone levels precipitously dropped, and allowed my natural levels of estrone and estrogen to be dominant once again.